If you are out of home and office, it may be unlikely to enjoy your DVD movies on a TV or PC. Nowadays, tablets, mobile phones or media players will be the best choices to enjoy movies when you are out. Are you still seeking for free DVD ripper for Mac to backup and rip your DVD collections to the format of your choice, like DVD to MP4, MOV, FLV, MPEG, H.264, etc, so that you can store your DVD in safe from any damage or enjoy DVD movies on your portable devices on the go. 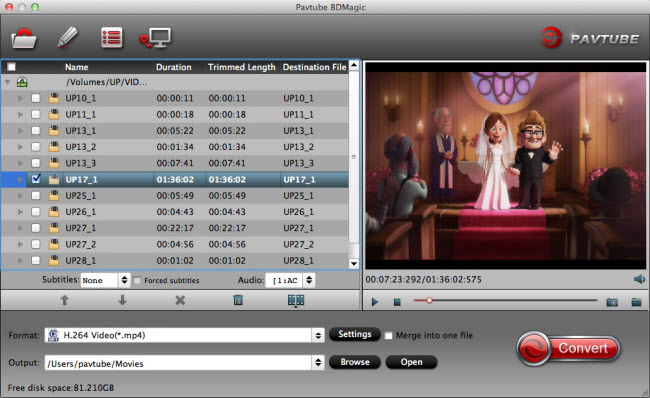 They are Pavtube BDMagic for Mac Free Edition, HandBrake and MacTheRipper respectively. Many people may hear that Handbrake is an open source DVD ripping software and MacTheRipper is a widely used free DVD ripper for Mac OS Sierra. Then what is Pavtube BDMagic for Mac Free Edition? Below we provide an overview for each of them for you to better know what they work as. It’s widely known that HandBrake is a cross-platform DVD ripper freeware, which is available for Windows (Windows 10 included), Mac OS X and Linux. It supports to convert DVD to common video in MP4 and MKV formats, and convert DVD for playback on iPhone, iPad, iPod touch, Apple TV and Android devices. What should be mentioned is that HandBrake only supports to rip DVD that is unprotected. 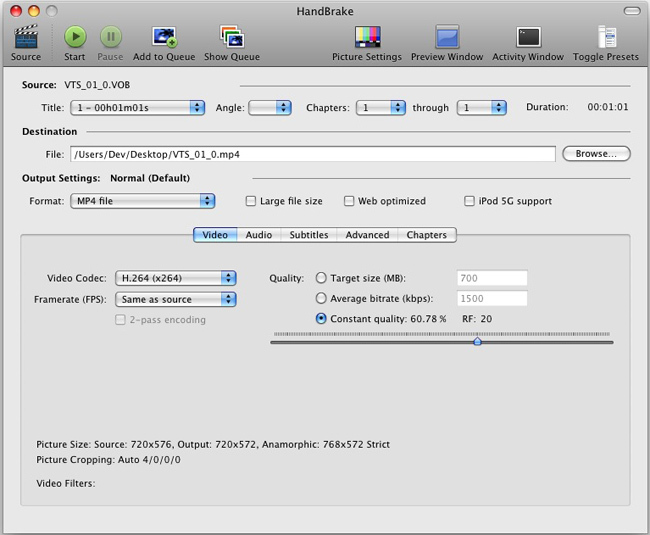 HandBrake also offers a slew of tweaking options for quality output. Here also come some disadvantages of HandBrake. It comes with a hard-to-use interface, and its output formats are limited to MP4 and MKV. If you want to convert DVD to video in other formats like FLV, WMV, etc. HandBrake cannot help you do that. Besides, if you want to rip some commercial DVDs with HandBrake, you are sure to get frustrated. Because the program has no support for copy protected DVDs. Besides, the ripping speed of HandBrake for Mac is a little bit slow. 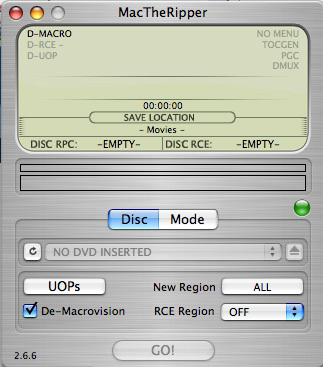 MacTheRipper is also a DVD ripper for Mac freeware. You can take use of it to rip DVD with CSS encryption. What should be highlighted is that this free Mac DVD ripper only rips DVD to your computer hard drive in VOB format. If you want to get video files in MP4, AVI, FLV, MOV, WMV, etc. formats, MacTheRipper is sure to let you down and you have to resort to a third party Mac video converter like null to achieve that. 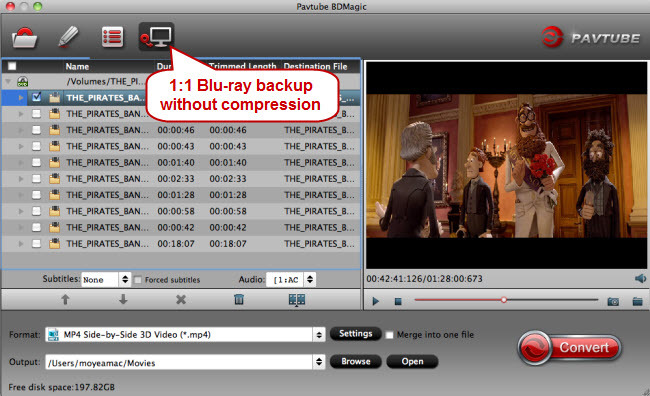 Pavtube BDMagic for Mac is the best and fastest DVD ripping software that provides movie lovers with the easiest way to rip and convert DVD movies to all popular file formats, such as MP4, AVI, MKV, WMV, FLV, M4V, MOV… with excellent output quality. This free Mac DVD ripper enables you to rip both homemade and protected DVDs by removing the DVD copy protections, such as CSS encryption, RCE region protections, ARccOS copy protection, even rip Disney encrypted DVDs for you to backup your legally-purchased DVDs on Mac computer, be it iMac 5K, Macbook Pro, Macbook Air, or 2015 Macbook. Within 3 steps, you can fulfill the 99-title DVD rip on Mac for free with neither audio/video sync issue nor DVD error reading that Handbrake did. After downloaded and installed this Mac DVD Ripper on Mac OS Sierra, click “Load files” to add DVD movies to the software to rip on Mac.